After an early breakfast, pick up from your North/South coast beach hotel or Airport and depart. Drive north, along the main highway towards Nairobi, following the route of the railway line built by the British late in the nineteenth century. The road passes through the warehouses and workshops on the outskirts of Mombasa, climbing steadily and soon the vast plains of Tsavo become visible in the distance, with the rolling Taita Hills on the horizon. 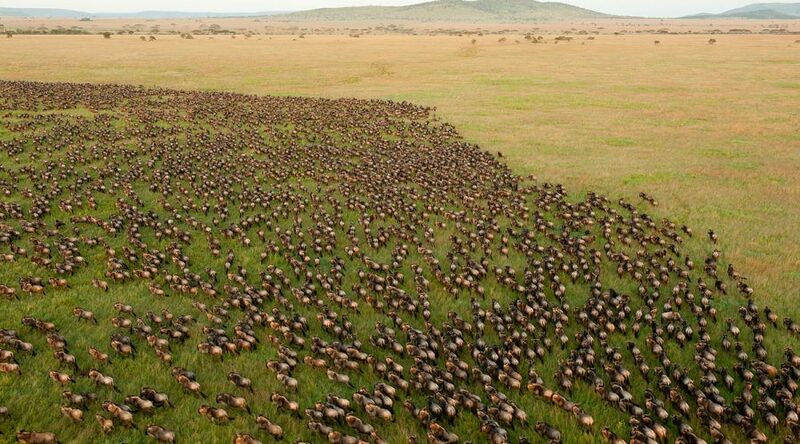 Enter Tsavo East National Park (12,000 sq. kms) at Buchuma Gate, here the driver will open the roof of your van, so you can stand up with the wind in your hair. Welcome to Africa, the safari has begun! Tsavo is the largest national park in Kenya and is split into East and West by the highway. You will arrive at your lodge in time for lunch and later enjoy time for relaxation before setting off back into the park for your afternoon game drive. Return to the lodge as the sun sets. Overnight at Ashnil Aruba Lodge on a full board basis. After an early breakfast, depart to Amboseli. Join the main highway and continue northwards, passing Hunters Lodge, the sight of the infamous ‘Man eaters of Tsavo’ incident where lions attacked the workers building the railway, made famous in a Hollywood movie. 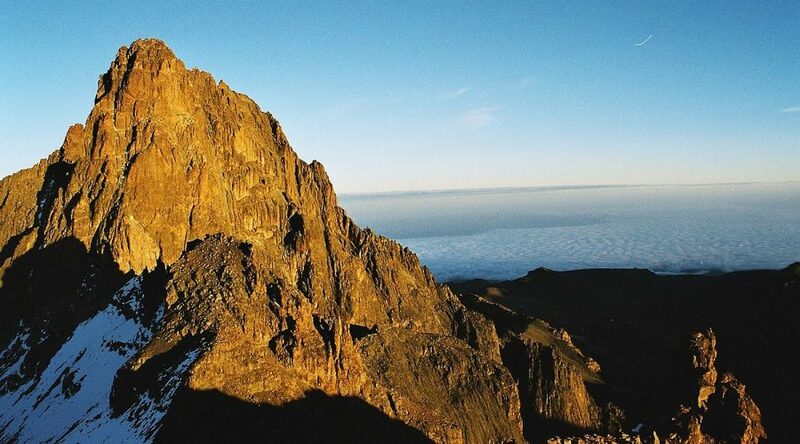 Reach the township of Emali, you will leave the main road and head south towards Amboseli national park. If the weather is clear you’ll catch sight of the majestic Mount Kilimanjaro directly ahead, arriving at your camp in time for lunch. After some time for relaxation or a dip in the inviting swimming pool, set out into the national park for a game drive. Taking you across this vast lakebed often dry, but still very swampy in some areas. 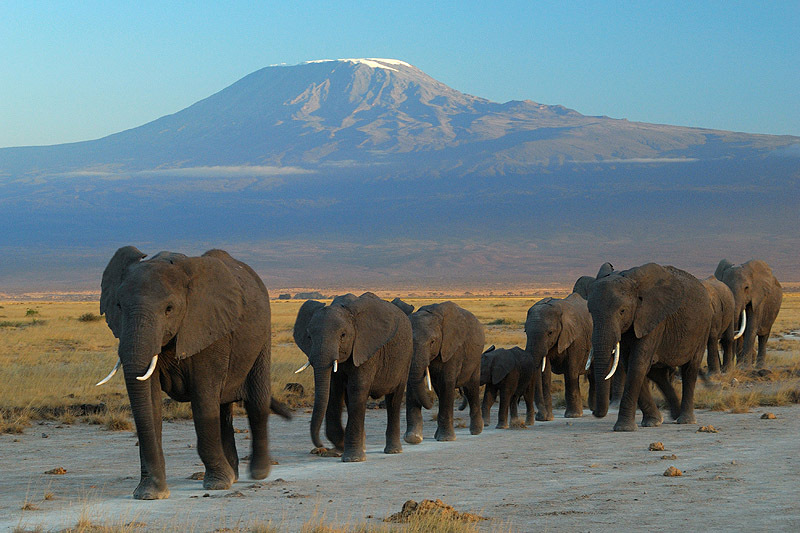 Amboseli is best known for its great herds of elephant you’ll often find many of them standing knee deep in the water, spraying themselves to keep cool. But there’s a lot of other game here too cheetah, buffalo, giraffe, many types of gazelle and other plains game and it’s all set against the amazing backdrop of majestic Mount Kilimanjaro. Return to the camp as the sun sets. Overnight at Amboseli Sentrim Camp or similar on a full board basis. Following an early morning game drive and breakfast, depart east to Taita Hills, arriving in time for lunch followed by is an afternoon game drive in the Sanctuary, returning to the lodge as the sun sets. Overnight at Sarova Salt Lick Lodge on a full board basis. After breakfast enjoy an early morning game drive in the sanctuary returning to the lodge for breakfast before continuing your journey to Mombasa, aiming to reach your beach hotel in the afternoon. Drop of at your North/South coast beach hotel. © 2019 African Savannah Safaris Ltd. Copyright © 2019 African Savannah Safaris.